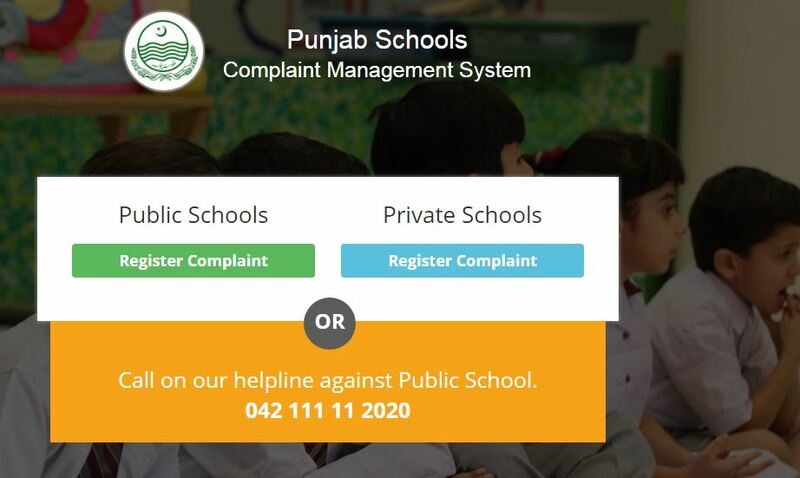 In its effort to improve quality of learning and infrastructure in schools across the province, Punjab Govt’s School Education Department (SED) has launched an online portal to register complaints regarding public or private schools. SED has recently posted a tweet and shared details about their online portal which can also be accessed through their website. The options available on the site let you register as well track a complaint. A user can also register a complaint simply by calling on SED’s official helpline at (042 111 11 2020). In Pakistan, education in schools is facing several challenges. Despite the increase in budgets, enrollment in public schools remains low, the quality of learning is poor, and there are not enough buildings or teachers. Meanwhile, private schools are charging massive fees for providing sub-standard education. Probably, this is the reason that Sindh High Court has directed the private schools to not charge more than one month’s tuition fee from the students. This is just one of the several achievements that the Punjab Information Technology Board (PITB) have attained in digitizing various sector of the province during the course of just four years. This initiative is led by the Programme Information and Implementation Unit (PMIU) of Punjab Education Sector Reform Programme (PESRP). PMIU is a comprehensive online portal of school education across Punjab, which was developed by PITB and provides free and instant access to data about school education across Punjab.